The Houston Independent School District Police Department hosted a ceremony Wednesday to recognize the promotions of six new sergeants and to swear in seven new officers. The celebration, which was held at the High School for Law and Justice for the officers and their families, honored the new sergeants, who were officially sworn into their roles last month, as well as the new officers, who were sworn in at the event. 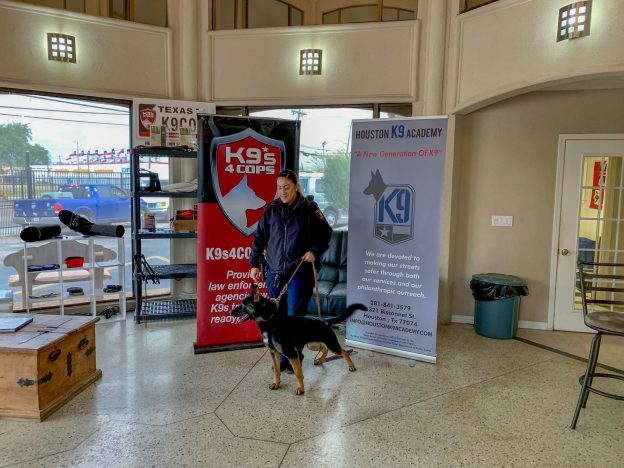 This entry was posted in 2012 bond, 21st century schools, Business Operations, District VIII - Diana Dávila, HISD PD and tagged HISD PD, HISD Police, HISD Police Department on January 24, 2019 by HISD Communications. In honor of Breast Cancer Awareness Month, many HISD police officers are sporting pink police badges this month to help raise awareness about the disease and raise funding for research. Officers who contributed $20 or more are wearing special pink badges throughout the month, signifying their commitment to the cause. The money raised will go to the American Cancer Society to support patients and their families fighting breast cancer. 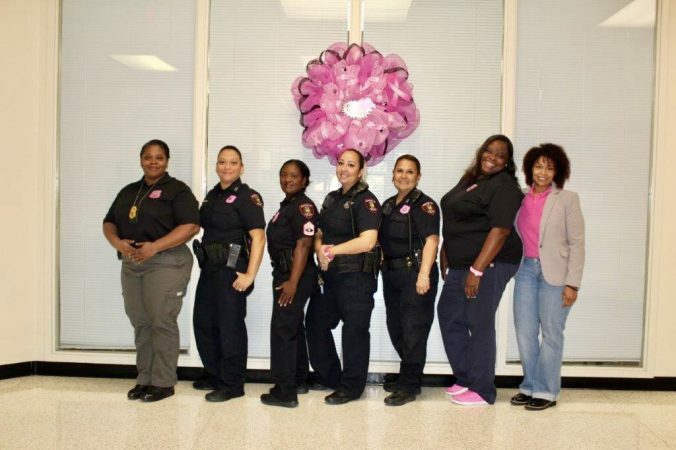 The Pink Badge program is supported by various law enforcement agencies across the country. This is the second year HISD’s police department has participated. Houston Independent School District Police Chief Paul Cordova and five members of his leadership team were publicly sworn in during a special ceremony held Wednesday at Crime Stoppers of Houston. HISD Interim Superintendent Grenita Lathan administered the oath of office to Cordova and noted that, by taking the oath, the officers are publicly pledging their commitment to keeping students and staff safe. This entry was posted in Business Operations, HISD PD, News and tagged business operations, HISD Police, HISD Police Department, police department on August 22, 2018 by HISD Communications. Three veteran sergeants from the HISD Police Department have been promoted to the new rank of captain, HISD Police Chief Paul Cordova announced on Thursday. The three are Capt. Richard Morris, Capt. Artina Walker, and Capt. Robert Barbosa, and they will report to Asst. Police Chief Lucretia Rogers. Their promotions take effect on Monday, July 16. This entry was posted in Business Operations, HISD PD and tagged HISD Police, HISD Police Department, police, police department on July 12, 2018 by HISD Communications.